Since IDA's DocuClub was relaunched in 2016 as a forum for sharing and soliciting feedback about works-in-progress, three DocuClub alums have premiered their works on the festival circuit this past month. In an effort to both monitor and celebrate the evolution of these films to premiere-ready status, we reached out to the filmmakers as they were winding their way through the festival circuit. Following their DocuClub screening, Jeremy S. Levine and Landon Van Soest premiered their film For Ahkeem at the Berlin International Film Festival, and later screened it at Tribeca, Hot Docs and DOK.Fest Munich. The next stop for the film: AFI Docs in June. 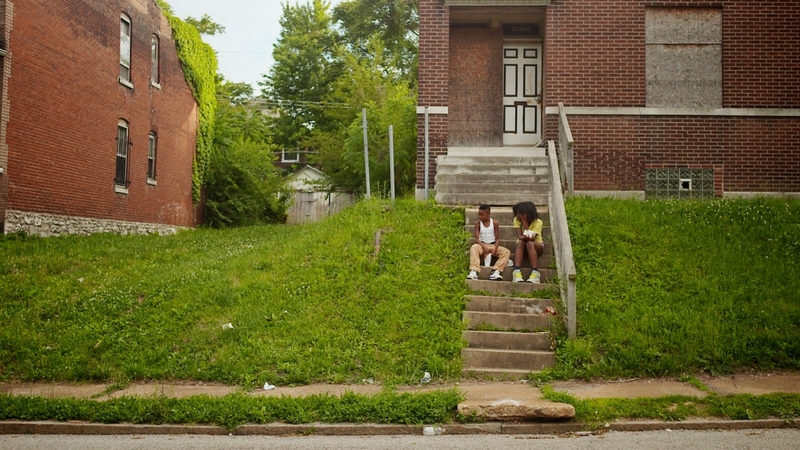 Synopsis: Beginning a year before the fatal police shooting of a black teenager in nearby Ferguson, Missouri, For Ahkeem is the coming-of-age story of Daje Shelton, a 17-year-old African-American girl in North St. Louis. She fights for her future as she is placed in an alternative high school and navigates the marginalized neighborhoods, biased criminal justice policies and economic devastation that have set up many black youth like her to fail. Through Daje’s intimate story, For Ahkeem illuminates challenges that many black teenagers face in America today, and witnesses the strength, resilience and determination it takes to survive. What did you hope to accomplish at the DocuClub screening last year? JEREMY LEVINE: It is going a ways back, for sure, but it was really the first time we'd shown it to people outside of our team, so there was a lot of uncertainty going in about how people who are fresh to it would experience it. It was a big test for us in that way. LANDON VAN SOEST: I don't know if this is addressing your question, but we put a very high value on feedback and workshopping. Jeremy and I actually founded a workshop group called the Brooklyn Filmmakers Collective many years ago that does weekly feedback sessions. With documentary you're so busy crafting the story in the edit room that it's really easy to get lost in the weeds. Having that kind of outsider perspective somewhat regularly has been really important to our process. For this film, we're obviously outsiders to this community, so really getting a strong sense of the way that we were representing not only our character but also the community around her and the way that was playing to diverse audiences was something that we put a lot of importance on and spent a lot of time on. I think that DocuClub screening was early in that process for us. It gave us a benchmark to start to get a sense of what was coming across on screen and to wrap our heads around all of that. Were there any other central challenges or problems that you were still solving narratively that you thought could benefit from that screening? JL: Landon and I agree on a lot of things, but when you agree on 95 percent of things, there's still the five percent you have to work out. We both had our favorite intros to the film and we ended up putting one of them in and showing one of them afterwards to see how the audiences reacted to them. The funny thing is that a year later, neither of those intros actually survived the cut. Do you remember any particularly valuable takeaways from that screening? LVS: I think receiving feedback is a craft unto itself, especially when you have a room full of filmmakers. A lot of people will get a bit prescriptive and just say, "Well, you need to cut this entire part," or, "This whole thing doesn't belong in your movie." A lesson that I think we've learned over time is that sometimes it's not necessarily what's not working; it's just not clear enough yet, or there's something that's really drawing audiences off. I remember spending a good portion of our discussion at DocuClub talking about the boyfriend Antonio's court troubles, and somebody asked a question that snowballed into a lot of this misdirection and confusion about his character and about his legal troubles. For us to get to the bottom of what people were actually confused and getting caught up on took weeks, if not months. It's one of those story points that in reality is very complicated. There were a lot of different issues that were accumulating, so I know that strand is something that we very specifically went back and ironed out after that screening. Did you go right back to the edit room or did you give yourself some time to process the feedback? JL: We took the giant binder of notes and went to a coffee shop the next morning and started digging through and trying to find what were the common themes, what were the notes we kept hearing over and over again. Sometimes you would read a note and it would freak us out and we'd be like, "Oh my God, this whole thing is not working and we need to go back to the drawing board." But you realize that's only just one person who said that, so maybe they were dozing off during a certain part or on their phone or something and that wasn't necessarily a note that we had to totally recut the film for. LVS: Like I said, a lot of the conversation ended up being about Antonio's court case. There were other issues that weren't very consistent through the questionnaires and that just didn't come up during the conversation. Like Jeremy said, [it was about] being able to identify consistent notes and feedback and points of confusion, as opposed to somebody getting very upset about one thing and an opinion that's not shared by others. What were the key factors for you that determined that your film was ready for a premiere? LVS: We got accepted [laughs]. I think we're an interesting case because obviously with Ferguson we had some pretty topical events. When that happened we were really feeling like we needed to rush to the film, and we really buckled down. We had tried to premiere the film a year earlier. We had a cut that we started to feel resembled a movie; we started sending that around, but we stopped editing for about a month and went back and rewatched that. And it helped that we got rejected by Sundance. But we just really realized that we weren't ready to release it. We'd already invested three years in the film and just felt like it was going to be a much stronger film a year later. So we went back into the edit room for another five or six months of editing that I think made it a much, much stronger film. JL: Because so many of the festivals have their deadlines in that fall, end-of-the-year timeline, it's a little bit of a brutal decision to say we're not ready right now and we need to work on this for another year. But we did, and we did actually get into a festival that was one of our own dream festivals - and we still decided the film just wasn't ready. That was an incredibly tough decision. And that was before Berlin? JL: This was a year ago when we decided to edit for what we thought would be a few more months and ended up being a full year. What was kind of amazing to me is when we made that decision, we would extend our timeline and go back into the edit. We all assumed that with a month or two of really dedicated editing, we would be in good shape and by the summer we'd have it all mixed and mastered with the final music, and that we'd have such an easy timeline going into our festivals the next year. But somehow it's still always a scramble right until the end.